Pettyjohn BodyTherapy was established by Curtis Pettyjohn (BA, LMT, NCTMB, CST) in Chicago, Illinois in 1986. Curtis is a Certified Structural Therapist (trained by Advanced Rolfers), CranioSacral Therapist, Licensed Massage Therapist, and is National Board Certified and a member of the American Massage Therapy Association. Working in Chicago for over 25 years, Curtis is experienced in helping people overcome chronic pain, achieve structural integration, improve performance skills, and enhance the quality of their everyday lives. Curtis often works in league with physicians and chiropractors to help facilitate healing in their patients. 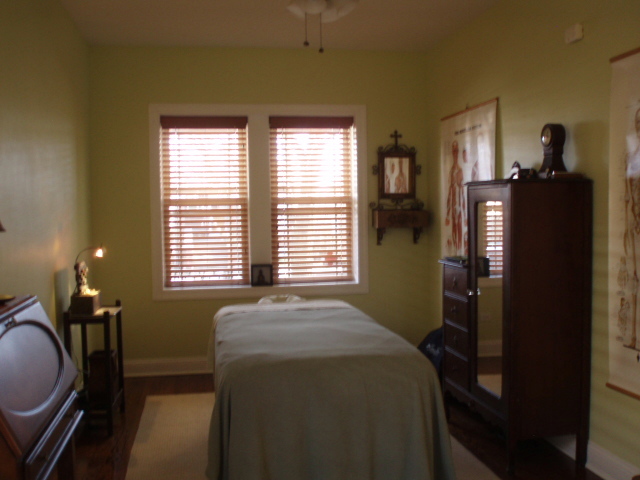 He can provide the massage therapy service that each individual client requires. Please contact us for scheduling and rates ($75 to $120 per hour). Out calls available. We look forward to hearing from you. As a thank you for visiting our website here is a coupon worth ﻿$20 off ﻿of your first visit. Copyright 2017 Pettyjohn BodyTherapy. All rights reserved.